Get movie screen rental , kick back and enjoy the show! Rent a LED Screen for your event, concert, sporting event or corporate gathering. 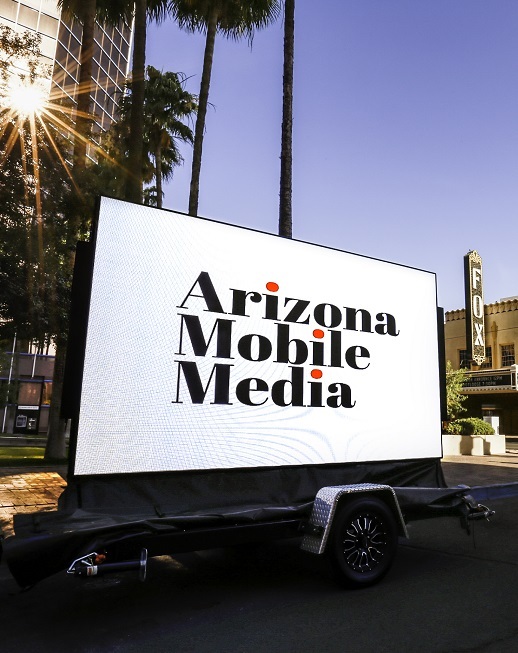 Arizona Mobile Media will deliver, set up, operate and handle all the technical details of you rental. We provide an on site technician for the duration of your event. 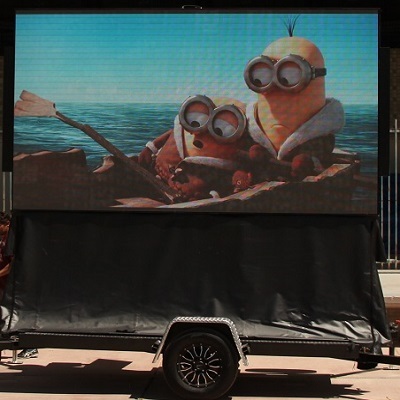 Our 12×7 mobile LED screens are highly visible with outstanding LED clarity that projection blow up screens can not provide. A concert grade sound system and hydraulic lift provides ample sound and maneuverability to raise the screen for better view-ability to the crowd. 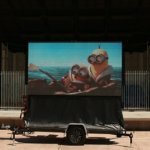 Want to have an outdoor daytime movie event. 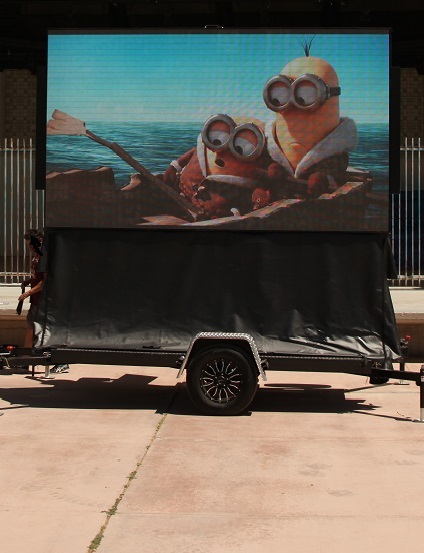 Arizona Mobile Media’s super bright LED screen is guaranteed to provide excellent viability in sunny Arizona conditions. 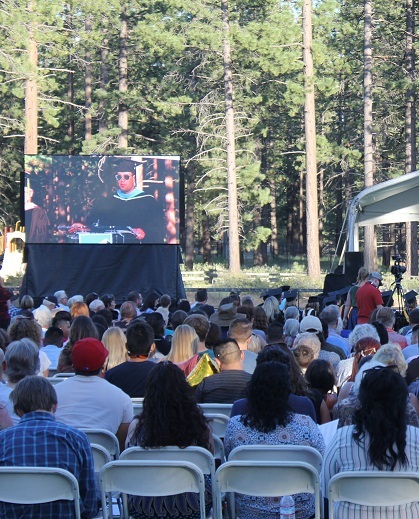 Unlike a inflatable projection screen, our LED screens have thousands of LED lights that can be turned up in brightness to counteract bright sunny conditions.